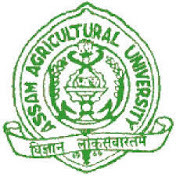 A walk-in interview for the post of Junior Research Fellow (JRF) is scheduled to be held on 22nd September 2018, in the Department of Agricultural Biotechnology, Assam Agricultural University, Jorhat, at 10:00 AM. The post is purely temporary and will be terminated on completion of the project. Interested candidates may appear for the interview with bio-data, reprints of publications, thesis etc. and a passport size photograph. Original and attested copies of all testimonials must be presented at the time of interview. Candidates may send their application and biodata in advance to the undersigned at ratna_abt@aau.ac.in. No TA/DA is admissible for attending the interview.